Captain Lee Sebring is a USCG licensed master and chief engineer and a towing operator with over 30 years experience in the maritime industry, which includes, commercial fishing, maritime salvage, towing and barge service, and owning a marine repair facility that did major mechanical and electrical repair work on commercial and recreational vessels. Have experience with wood, fiberglass, and steel vessels. 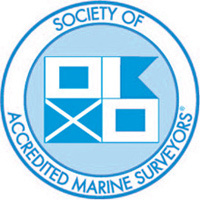 Survey Associate member of Society of Accredited Marine Surveyors. Also, member of American Boat & Yacht Council, which creates safety standards for the construction, equipage, repair, and maintenance of boats. Attended ABYC training class on marine corrosion analysis and control. © 2002-2015 Sebring Marine Services LLC. All rights reserved.